Antibiotics: What can they do to your body? Have you ever wondered why doctors would always advise you to take antibiotics after every minor operation? Or, have you ever felt curious when they tell you to take some medicines just to fight the infection in your body? The primary intention of this prescription is to stop the bacteria from causing more damage to the other parts of our body. 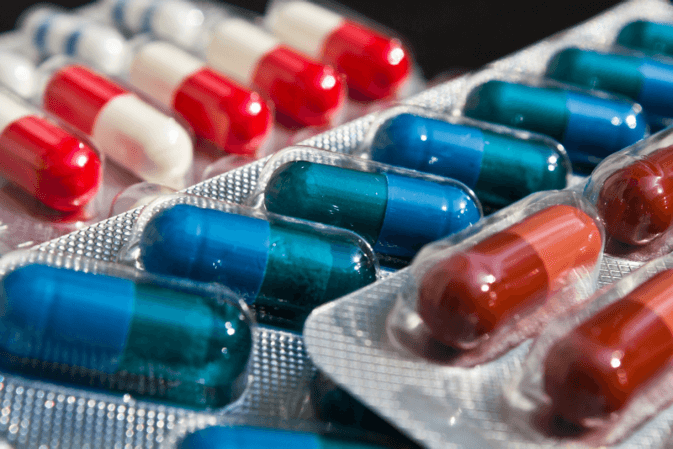 In the medical world, antibiotics are recommended drugs that one should take to control the bacteria from infecting other parts of the body or from growing on the operated part of the body. There are different types of antibiotics for different complication. At OK Pharmacy, the leading Pharmacy in Donna, TX, we try to provide everyone a drug for their needs. We want to make sure that your medical needs are readily available. One of the most in-demand prescription drugs are antibiotics. You may be taking it regularly or for a particular period of time, but do you really know how it affects your body? The collective reason among physicians as to why they prescribe antibiotics to patients is because it helps facilitate healing and it prevents the bacteria from damaging other parts of the body. The answer to such question is a big YES. It does not only give the body the protection it needs but it also gives various side effects that are greatly felt by most patients. When you take antibiotics, your stomach may produce unwanted reactions. This can range from sporadic vomiting, diarrhea, or even just constant hunger. That is why your doctor would always recommend that you eat a meal or even a snack first before taking these prescription drugs. The ingredients found in these drugs can be too strong that your system will find it hard to digest. To avoid experiencing these things, you can either drink more water after taking medicines or eat a lot for your system to be able to digest the medicine too. If conditions get worse, do not hesitate to see your doctor. If it is your first time to take in an antibiotic, your body will have to adjust to this foreign object. Hence, a fever is often the reaction that it produces. Eventually, this fever will go away in a day or two. This may just be caused by allergens or some chemical ingredient found in the medicine. But when your fever continues for a few more days, then it is time to see your doctor to know the other contributing factors and ask whether you need a change of brand or type of antibiotics. Indeed, antibiotics can help solve a number of health complications after a surgery or operation. But because it is made up mostly of strong ingredients, it may take a while before your body can get used to it. The best thing that you can do is to ask your doctors about the side effects of these drugs, and know your allergies as well so they can prescribe you the appropriate antibiotics. If you have medical maintenance, it is best that you get Prescription Drugs at OK Pharmacy. We assure you that we only sell quality drugs for better health. For orders and queries, you can visit our website at www.okpharmacydonna.com or call us at 956-464-2200. This entry was posted in Pharmaceutical and tagged antibiotics, fever, prescriptions, purpose, side effects, stomach problems. Bookmark the permalink.